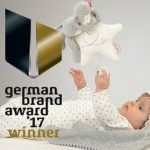 Käthe Kruse has been announced as a winner of the German Brand Award for 2017 in the category "Kids & Toys". Käthe Kruse has always stood for quality, hand crafted dolls and soft toys for children and this award recognizes this long history and tradition. Peter Handstein, owner of the Käthe Kruse, says our products are a "child for a child, and accompany you throughout your life." This entry was posted in News and tagged business, Germany on February 21, 2018 by Randall Hertzler. This entry was posted in News and tagged business on December 15, 2015 by Randall Hertzler. This entry was posted in News and tagged CPSIA, business, toys, Europe on June 12, 2013 by Randall Hertzler.